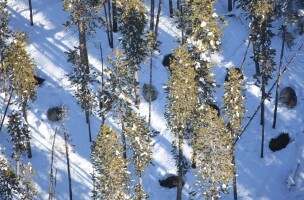 Gibbon Wolf Pack bedded down in forest (Doug Smith, Dec. 2007). The Northern Rockies states (i.e., Idaho, Montana, and Wyoming) are mostly outside what is classically defined as Cascadia. That said, the source populations of wolves that could migrate into the lower portion of Cascadia (Oregon, California and Washington) are in the Northern Rockies. 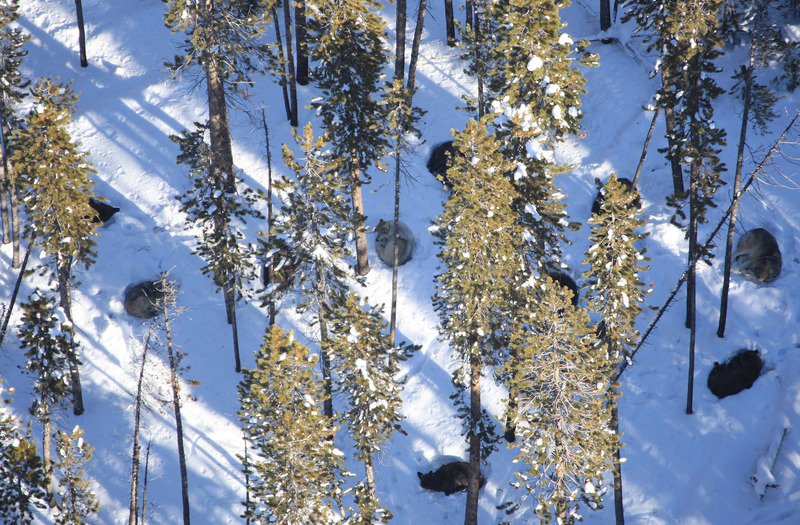 Elements of the livestock and hunting communities have worked diligently to spread myths and fear and are successfully—but without justification—driving down wolf populations in the Northern Rockies. As a consequence, we feel an obligation to rebut those manufactured misconceptions and to call out those individuals, organizations and industries making spurious and indefensible claims about wolves. Cascadia Wildlands strongly believes that science and facts need to be the primary driver of wolf recovery and all conservation efforts. * Federal protections for gray wolves is currently under threat! Learn more.